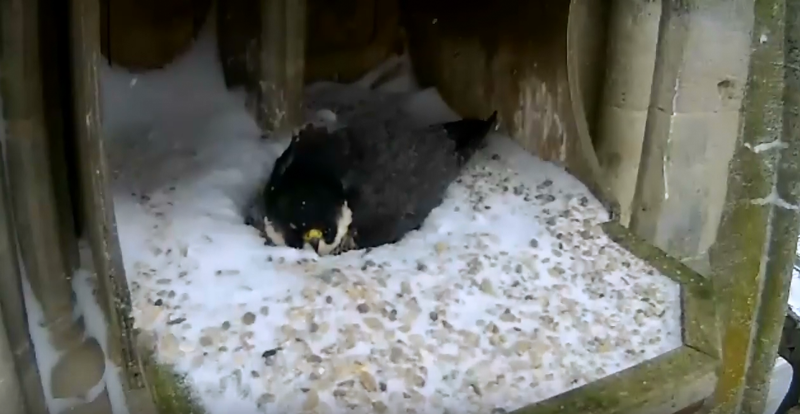 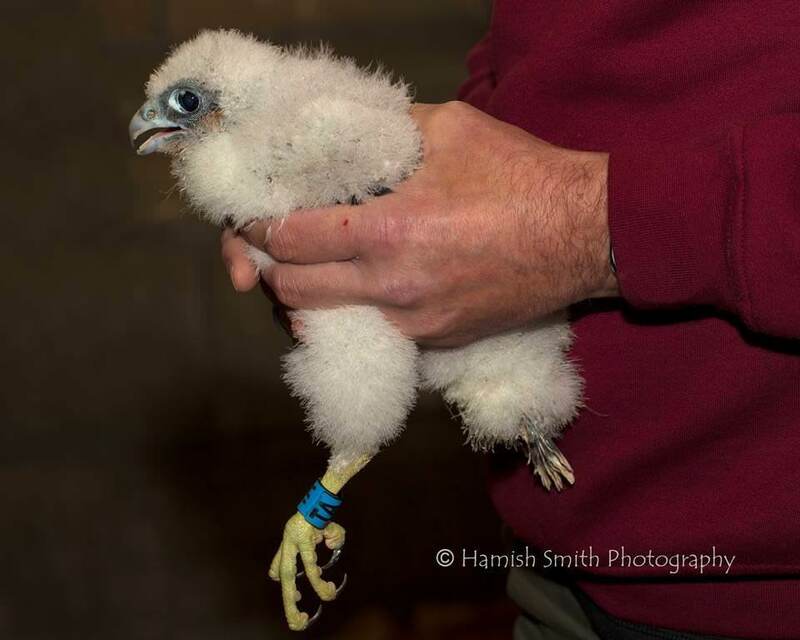 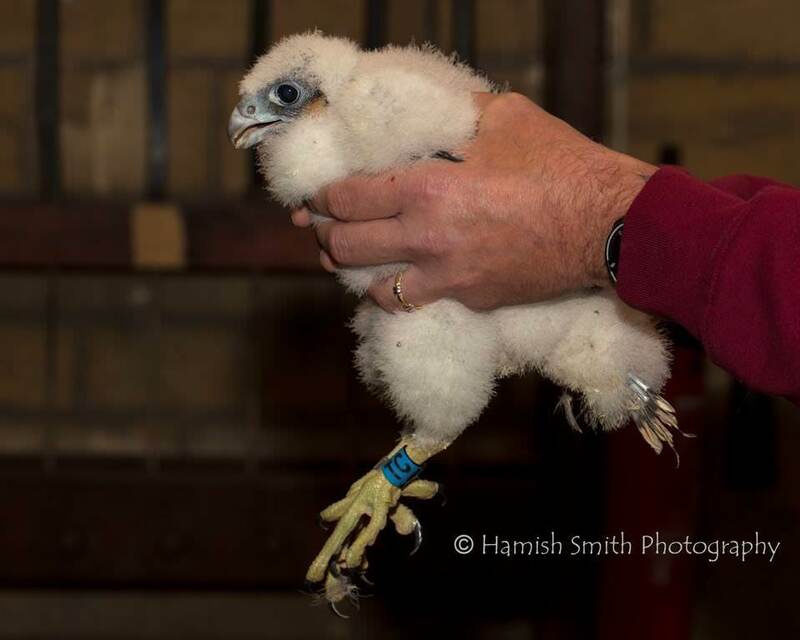 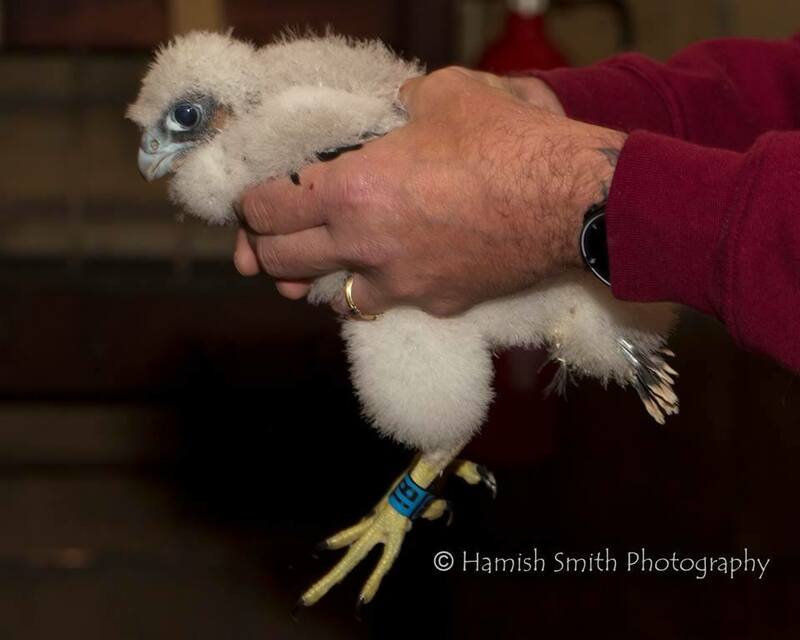 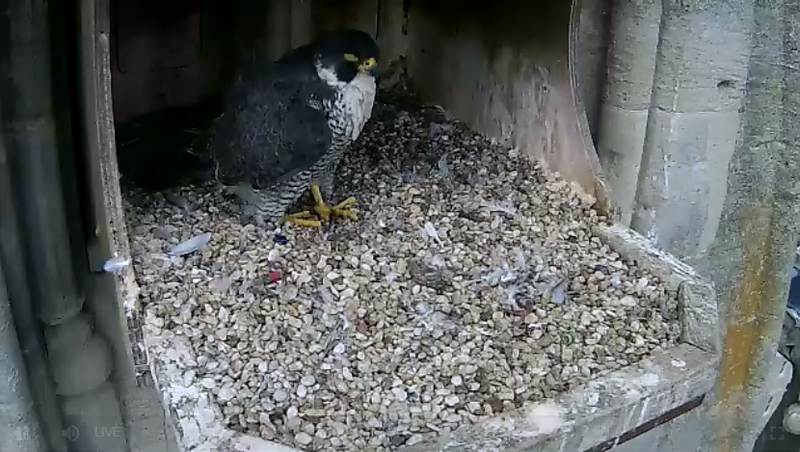 The Peregrine chicks were ringed at our Bath nesting platform yesterday. 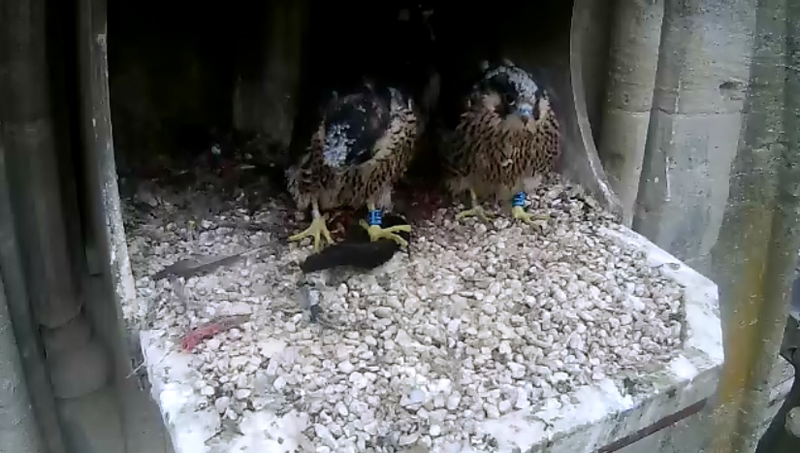 Two males and a female, each was given a quick health check, and measurements taken, before a uniquely-numbered metal BTO ring was placed on one leg, and a coloured Darvic ring - with a unique 2-letter combination - was added to the other, allowing each bird to be individually identified in the future without the need for recapture. 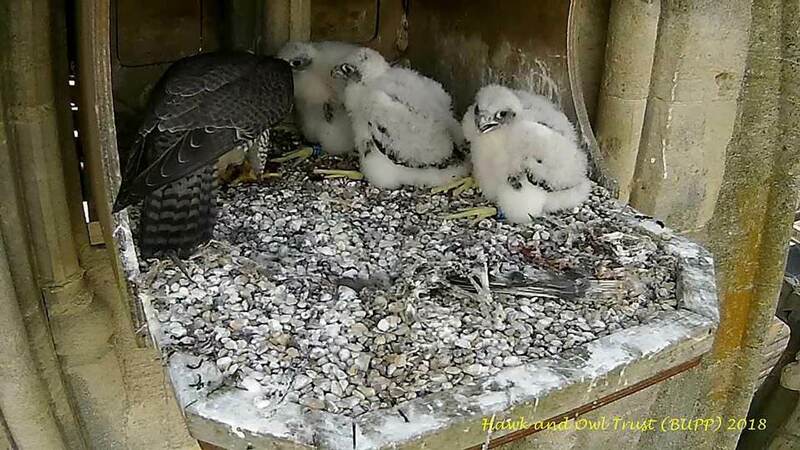 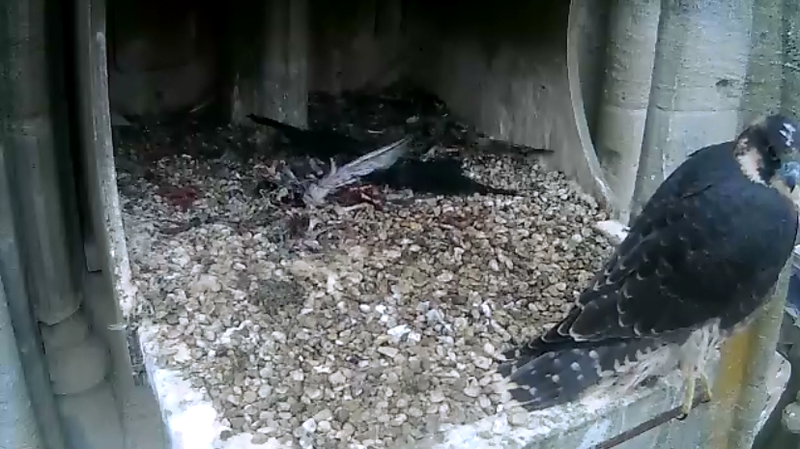 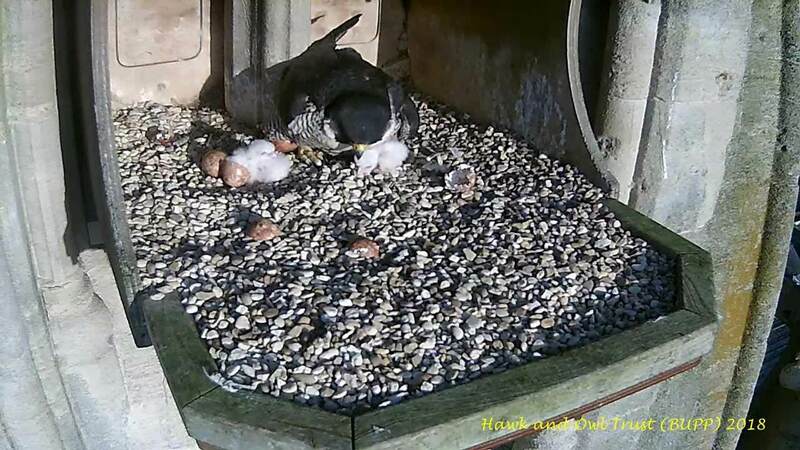 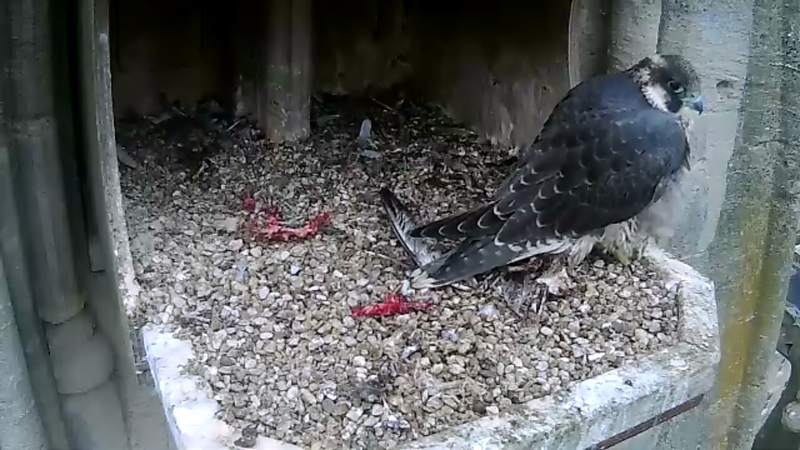 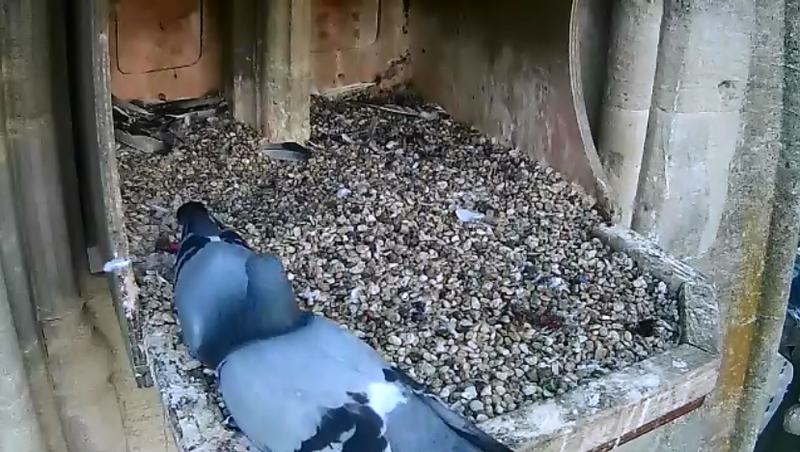 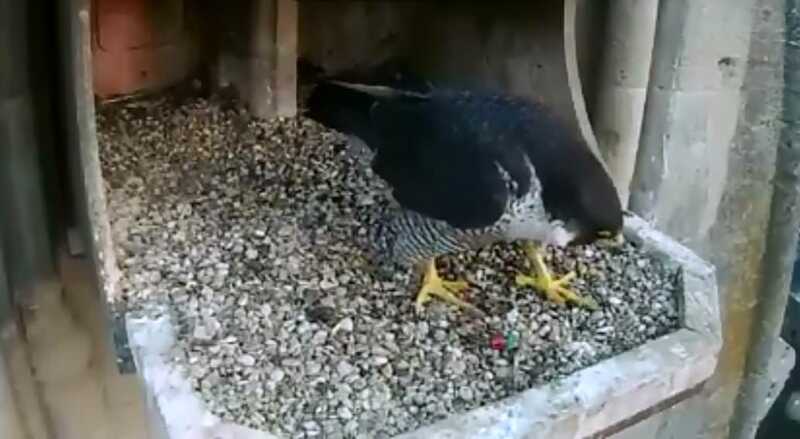 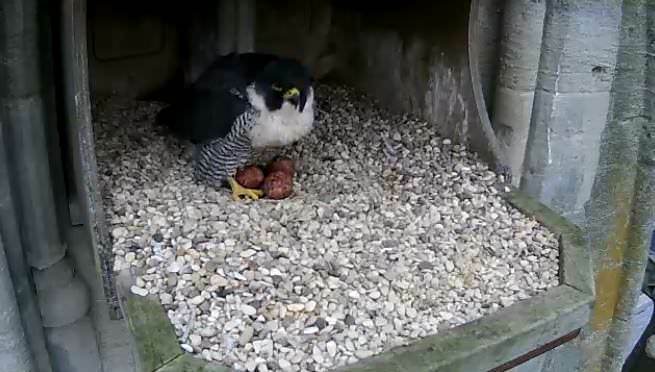 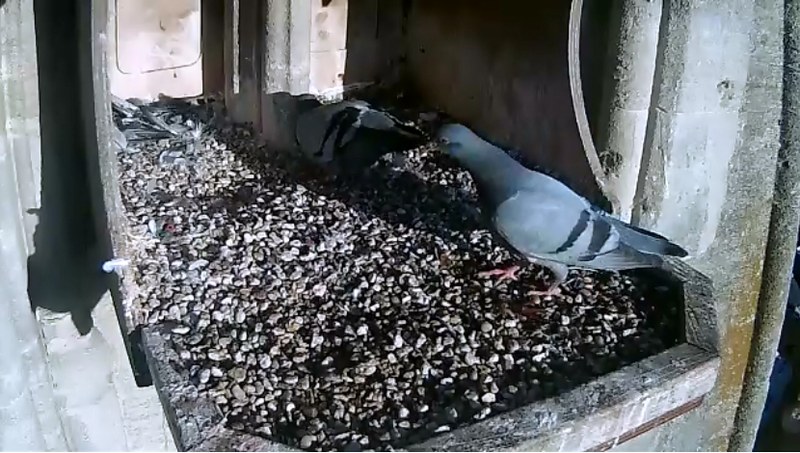 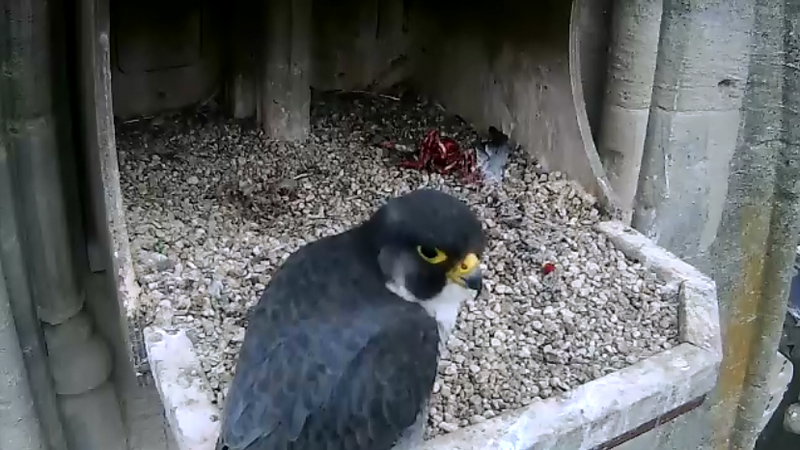 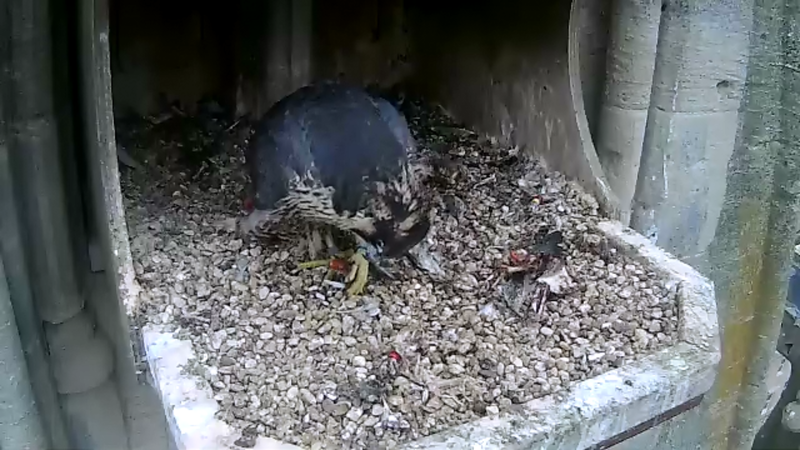 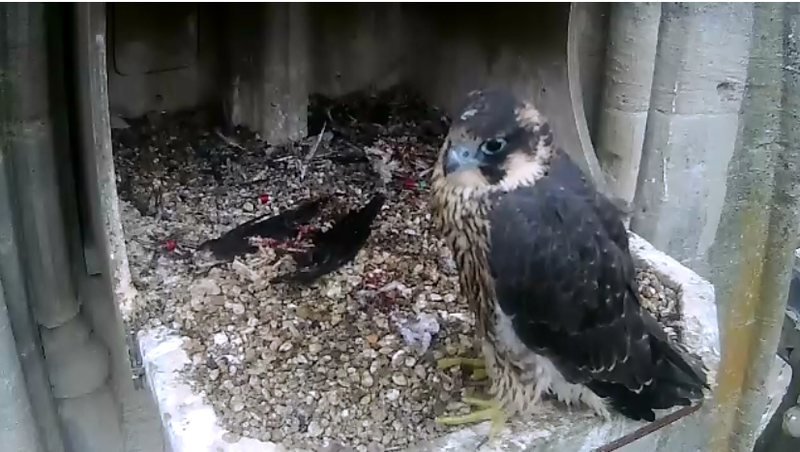 Within 7 minutes of the chicks being placed back in the nest the adult female brought in a large meal for them all.